With Avengers: Endgame pre-sale tickets breaking the internet and the three-hour movie is primed to break box office records, the original six Avengers sat down with Entertainment Weekly’s Anthony Breznican in a round table discussion about the 10 year journey to Endgame. You can watch the nearly 25-minute video of Robert Downey Jr., Chris Evans, Scarlett Johansson, Chris Hemsworth, Mark Ruffalo, and Jeremy Renner (along with Marvel Studios President Kevin Feige) talk about the unique journey that has been the Marvel Cinematic Universe. Check out the video and interview/article here at Entertainment Weekly. 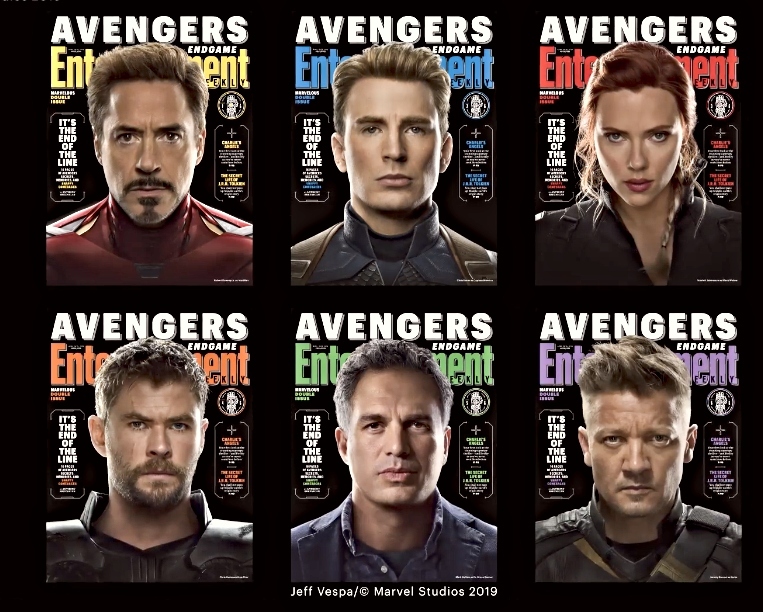 You can expect the new issue of Entertainment Weekly on newsstands this Friday, April 12th 2019, that’ exactly two weeks before .Avengers: Endgame releases into theaters officially on Friday, April 26th, 2019.